God uses money as a tool to help us grow. abundance of possessions” (Luke 12:15). A wise person once observed, “Half of any task is having the right tool, and the other half is knowing what to do with it.” Although we don’t often consider it as such, money is a tool which God uses in our lives as a means of spiritual growth. You see, money is not an end in and of itself. It is a means to an end. And in God’s hands, one of its primary “ends” is to instruct us and to help us grow spiritually. God especially wants us to avoid our natural tendency which is a bent toward selfishness, greed, and hoarding. That’s why the Lord Jesus said, “Take care! Be on your guard against all kinds of greed; for one’s life does not consist in the abundance of possessions” (Luke 12:15). Now, according to Jesus’ teaching in the Parable of the Talents (Matthew 25), there is nothing wrong with saving. There is nothing wrong with investing or earning interest on investments. There is nothing wrong with being a wise steward by planning for the future. In fact, Jesus taught that those who do so are to be commended. But our primary emphasis as God’s children is to make our investments in the “Bank of Heaven.” When we do that, our investments are secure. They are not affected by inflation, by theft, by wear and tear, or anything of the kind. There is only one way to make deposits in this special “bank”: By giving to the Lord’s work. Although the money is used here, it is credited to your eternal account. Each time you give your tithes and offerings at Central United Methodist Church, you are giving to the Lord by investing for eternity. You are storing up “treasures in heaven” that will glorify God forever. A conscientious young couple feels obligated to tithe (10 percent) to their local church, but they also want to support a friend doing missionary work in Rwanda. On their tight budget, they can’t tithe to their church and significantly support their missionary friend. They are frustrated and ask you for advice. These New Testament passages illustrate giving to four groups to advance the gospel—the local church, family, the poor, and missions. Galatians 6:6: The one who is taught the word is to share all good things with the one who teaches him. In America, studies find that 2 percent of churchgoers give nothing to their church, and 34 percent of churchgoers give to four or more organizations [besides their church]. Church leaders sadly admit that the Pareto 80/20 principle (law of the vital few) is at work in church giving—80 percent comes from 20 percent of the people. If those who attend a local church don’t support it, who will? If you receive significant spiritual teaching from your local church, shouldn’t a significant part of your giving go there? 1 Timothy 5:8: But if anyone does not provide for his own, and especially for those of his household, he has denied the faith and is worse than an unbeliever. The Old Testament had laws to protect widows, but what is our role today in caring for widows and family? Paul says the head of the family must provide for his own. Don’t abdicate your responsibility for the care of your widowed mother or aunt to the church—or the government. But aren’t you responsible for supporting your family anyway, apart from your giving? Of course, but sometimes, family members need an extra boost. If your extra help for needy family members advances the gospel, you may consider that as part of your giving. However, supporting family can be never-ending! Set a boundary. Helping family members does not excuse you from generously supporting your church, the poor or missions. Galatians 2:10: They only asked us to remember the poor—the very thing I also was eager to do. In this passage, Paul recounts how the Apostles asked him to remember the poor as he preached to the Gentiles, and he is eager to help the poor—not reluctant. At the Last Supper, the disciples mistakenly thought Jesus had instructed Judas to leave the feast and “give something to the poor” (John 13:29). This reveals that Jesus habitually gave to the poor. Praying for the poor is not enough. Preaching to the poor is not enough. The old saying is true: An empty stomach has no ears. 3 John 7-8: For they went out for the sake of the Name, accepting nothing from the Gentiles. Therefore we ought to support such men, so that we may be fellow workers with the truth. The early church sent gospel proclaimers all over the Eastern Mediterranean. By supporting gospel travelers, the believers were fellow workers with the truth—true giving partners. As you support gospel workers, you are not “just a donor.” You are a fellow worker with the truth! 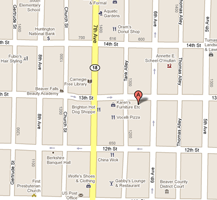 So we have four places to give to advance the gospel. How much should we allocate to each one? The New Testament doesn’t say. 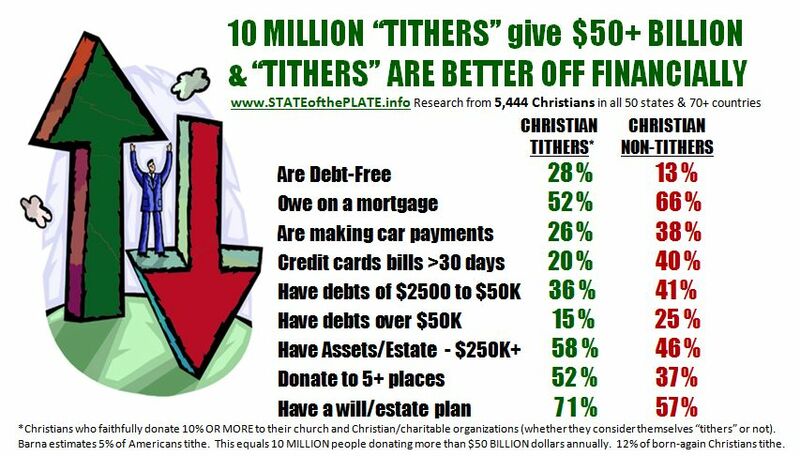 However, regarding the tithe, the New Testament does not teach giving 10 percent to the local church. Jesus mentions tithing twice, but neither time does He command it for His followers. Paul taught much about giving, but he was silent on tithing. In your giving, are these four groups represented? How much should you give to each one? Ask the Lord for His guidance about His money. Prayer: Father of all, sometimes I don’t know where to give. I must help my family, but I need boundaries. I want to be generous with my church too, but I often neglect the poor and missions. Help me honor You in my giving. Give me an idea! Amen. how we use the money He has entrusted to us. done in the body, whether good or evil” (2 Cor. 5:10). If you read annual reports from publicly held companies or banks, you will frequently see the word “fiduciary.” Fiduciary is used as an adjective to describe something which is held in trust. It is also used as a noun to describe the one who is a trustee who must account for that which is held in trust. For example, a bank president has a fiduciary responsibility to stockholders in the bank and to depositors who place their money in the bank. A company treasurer has a fiduciary responsibility to the owners of the company. 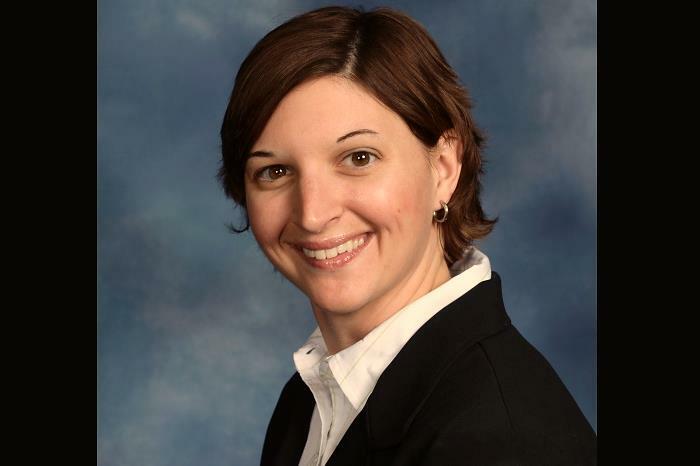 A payroll clerk has a fiduciary responsibility to pay people what they have earned. You may never have considered yourself a fiduciary, and you may never have acted officially in a fiduciary capacity, but in reality, you are a fiduciary. All of us are. That applies both to Christians and to those who are not part of God’s family through faith in the Lord Jesus Christ. We who are Christians will stand before the Judgment Seat of Christ. There, we will not be judged for salvation, since the penalty and judgment for sin was settled once and for all on the cross of Calvary when the Lord Jesus paid the price for our sin. Instead, when we stand before Christ, we will give an account of how we have used what God has entrusted to us. Just as a bank president must account to stockholders and depositors on how their funds are used, we must account to Christ for how we have used what God has entrusted to us. Since everything we have rightfully belongs to Him, we will need to report on how we have managed His assets! As you consider how you have used what God has entrusted to your care and keeping during the past few months, what kind of job have you done? And more importantly, as a “fiduciary” of what God has placed in your hands, will you stand before Him with joy, eager to report on your giving and management of His assets? “I will not open for you the windows of heaven” – This indicates a sudden deluge of activity. It is important to note God used this same verbiage in Genesis 7:11-12 when referring to Noah’s flood. “and pour out for you a blessing until it overflows.” – Rather than being a destructive form of judgement as in Noah’s day, this sudden deluge of activity will be blessings which cannot be contained. “Then I will rebuke the devourer for you” – Many feel that there was also a physical drought during Malachi’s day in addition to the spiritual drought. The caterpillars and locusts which devoured crops were under God’s mighty hand. So are the devourers in your life. “so that it will not destroy the fruits of the ground” – It has been my experience things just last longer for those who put God first with their finances. The cars last longer. The appliances last longer. The HVAC seems to keep working. “nor will your vine in the field cast its grapes,” says the Lord of hosts. – Back to farming, you will no longer be a barren land. You will live a fruitful and joyful life. While God may directly bless your finances, He may choose to bless other areas of your life such as your family, health, career or spiritual condition of those you love. “All the nations will call you blessed” – Wikipedia states there are 195 countries in the world today. Google Analytics says the leadership content from this site has been read in 198 countries since the beginning of the year. Literally, every nation in the world has benefited from this site’s content. “for you shall be a delightful land,” says the Lord of hosts. – A revival of generosity and the love of people will be an attractive quality for all who know you. I tested God in the area of tithing and He delivered on all seven of these promises. He honored my faithfulness, but more importantly, He honored His everlasting Word. Money is one of God’s gifts to people. this is the gift of God” (Eccl. 5:19). “Likewise all to whom God gives wealth and possessions and whom he enables to enjoy them, and to accept their lot and find enjoyment in their toil — this is the gift of God” (Eccl. 5:19). Don’t you just love gifts? There is great satisfaction both in getting gifts and in giving them. Since we are created in the image of God, it stands to reason that He also must take great delight in giving and receiving gifts. All that we have comes from His hand, but in particular, Solomon indicated that money and riches and the ability to enjoy them are gifts from God. In other words, God gives us that which is rightfully His, and then He allows us the enjoyment of wealth and money. As we enjoy what He has entrusted to us, no doubt He takes great pleasure in our enjoyment if our actions are in conformity to His Word and His will. How can we be sure that our enjoyment of money and wealth is according to God’s plan? The Bible contains a great deal of specific instruction as to how we are to use money, but this guiding principle is to motivate our entire lives, including the use and enjoyment of wealth: “So, whether you eat or drink, or whatever you do, do everything for the glory of God” (1 Cor. 10:31). There’s nothing wrong with money. There’s nothing wrong with enjoying the things that money can buy. Solomon was correct when he said that both are gifts from God. The key is to use money in such a way that our enjoyment will bring glory to God. One of the primary ways to do that is to give to the Lord and His work here at Central United Methodist Church. During the past few months, have you kept God’s glory as the number one priority in your use of money? Or have other things taken the place of your giving to God? which is His already: money and wealth. “Riches and honor come from you, and you rule over all. and to give strength to all” (1 Chron. 29:12). An oxymoron is the use of two terms which are contradictory in nature. “Jumbo shrimp” is an oxymoron. “Ferocious lamb” is another. “Dumb scholar” is yet another. Because we have been redeemed through our faith in Christ, Christians should be the most generous of all people. We have been abundantly blessed of God, who has given us all things richly to enjoy (Rom. 8:32). God gives the seed (Gen. 1:11). God gives the rain (Job 5:10). God gives health (Jer. 30:17). God gives life (Acts 17:25). God gives strength (Isa. 40:29). God gives riches (1 Chron. 29:12). God gives grace (2 Cor. 12:9). God gives eternal life (Rom. 6:23). And God gives us money and the ability to get wealth. Solomon said that money is one of God’s gifts to people. The purpose for which He gives us money is stated clearly in Ecclesiastes 5:19 — for our enjoyment. Some of us make that the primary reason for money. We major in pleasure and the things money can do for us. But there is another major purpose God gives us money, something that also can bring great pleasure: To give it back to Him. That’s why of all the oxymorons in existence, “Stingy Christian” is the most contradictory. We who have been given the most from God should be the most generous people in the world. Here is a short Stewardship meditation by Josh Daffern. I enjoyed school growing up, but there was one fear that I had, and in fact it was a nightmare I had on more than one occasion. In fact, I’m willing to bet some of you have had a version of this same exact nightmare. The nightmare is that you walk into school one morning, and everything seems normal. You walk into your first class, and you start to get bad vibes because you see everyone with their heads buried in their textbooks, frantically flipping pages and looking stressed. And then (here’s where the horror comes in) one of your classmates looks up and says, “Are you ready for the test today?” And then you say the two words you never, ever, ever want to utter as a student: “What . . . test?” Isn’t that a horrible feeling? As Christian adults, we all take a test multiple times a month, and most of us don’t even realize we’re taking one. I believe in the Principle of First, that if God is first in your life, everything will come into order. But if God is not first in your life, nothing will come into order. I don’t think many Christians would disagree with this concept in theory. It’s the application that gets a bit tricky. This principle includes every area of our lives, including our finances. If God is first in every area of our life but not in our finances, then He’s still not first. That leads to another timeless principle (kudos to Robert Morris and his original sermon on this concept): the Principle of the Test. 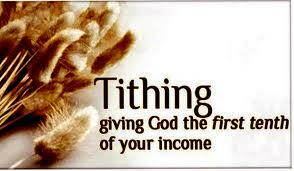 Do we trust God with the first portion, the first tenth (tithe) of our income? 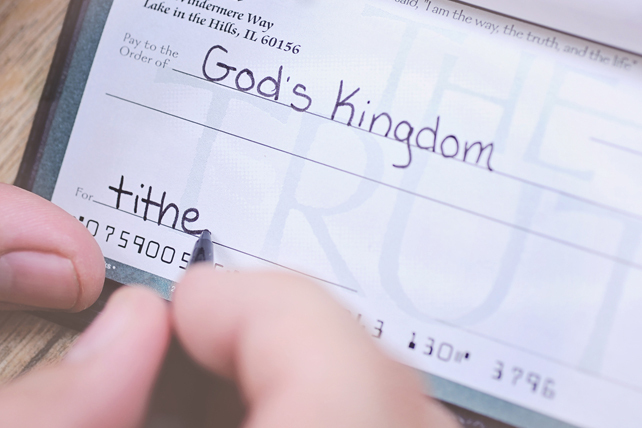 Tithing is ultimately about trust: do you trust that if you give God your first portion, that He will provide for you and take care of your needs? Do you trust that 90% of your income blessed by God will go farther than 100% of your income not blessed by God? Whether you realize it or not, multiple times a month, every single time you get paid, you take a test on this critical decision of trust. Is God really first in your life? Your words may whisper an answer but your pocketbook screams the truth. The amount of money we have is determined by God. who gives you power to get wealth” (Deut. 8:18). There are some wonderful principles in the Old Testament which apply to present-day Christians. In truth, all that we have comes from God. He determines what we will receive, whether it be money, gold, silver, houses, land, bank accounts, stocks, bonds, etc. It all belongs to Him in the first place, and He entrusts it to us. According to David’s prayer in 1 Chronicles 29, riches, honor, power, and wealth all come from God. That’s why there is no such thing as a self-made man or woman. Oh, we have to do our part. God’s plan is not that we just sit around praying and reading the Bible all day long so that what we need to survive will miraculously drop into our hands. We’re not just to pray for “our daily bread,” but we’re also to get up each day and work for it! That’s why the Apostle Paul stated clearly, “Anyone unwilling to work should not eat” (2 Thess. 3:10). But in reality, the amount of money and wealth which we receive is determined by God. According to His divine will and knowledge, He entrusts to each of us the amounts which He knows will be best for us. What should be our reaction to our financial state? Others might try to circumvent God’s design for their lives by trying to win the lottery or to obtain large sums of money through some other means. Mature Christians, however, will realize God’s infinite wisdom far surpasses their limited perspective. They will accept with a thankful spirit what God has entrusted to them and seek to honor God by their living and by their giving. Because all that we have belongs to God, our goal in using that which belongs to Him is to glorify Him. We own nothing. We have been given material means to use, but not to own. All that we have belongs to God. He is our Source according to Psalm 62:5. We are only managers and stewards of what He has entrusted to us. Because all that we have belongs to God, and because He gives us the ability to obtain wealth, every spending decision is in reality a spiritual decision. According to 1 Corinthians 10:31, our constant goal must be to glorify God in all of life, including how we use His resources. We are to glorify God by our worshipful praise (Psalm 50:23). We are to glorify Him by our consistent fruitbearing (John 15:8). We are to glorify Him by our spiritual unity (Rom. 15:6). We are to glorify Him by our entire dedication (1 Cor. 6:20). And we are to glorify Him by our good works (Matt. 5:16). In this last category is included the matter of giving. If our goals and ambitions are truly set on spiritual things, if our emphasis in life is to glorify God, we will use the funds He has “loaned” to us on a temporary basis to glorify Him. 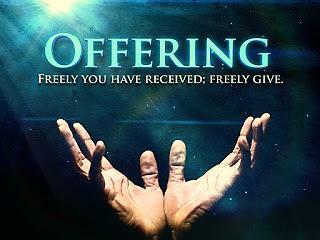 We will put His money and possessions to good use by giving to His work and by storing up “treasures in heaven” (Matt. 6:19-21). First, are you glorifying God in how you are using the money and possessions He has entrusted to you? And second, are you viewing these things as yours or as His?